The historic Champion Building recently underwent a facelift and the City of Port Isabel is ready to celebrate the occasion. 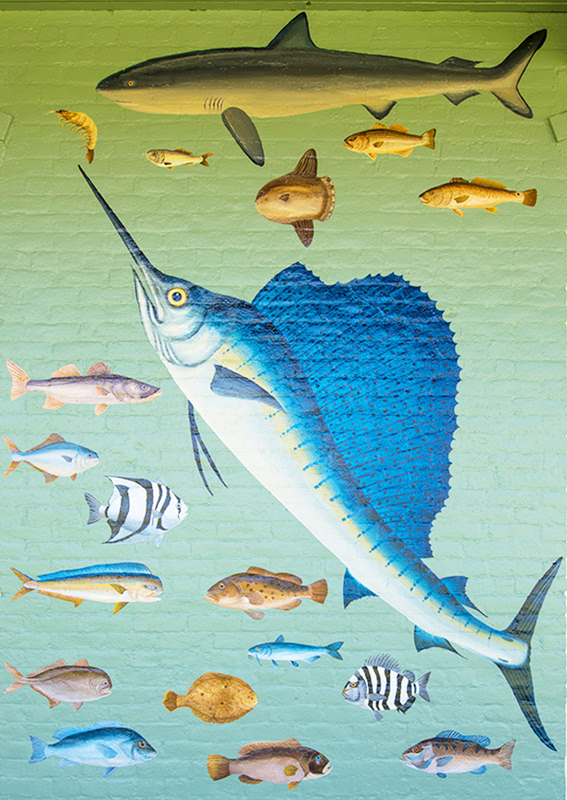 The colorful mural which covers the façade of the two-story building with images of native marine life underwent a restoration. Harlingen artist Angel Hernandez, who painted the mural on the nearby Port Isabel Event and Cultural Center, was tasked with bringing the faded century-old figures back to life. “We started the process back in June, July by seeking funding from the EDC, and then the City matched the funding. And that’s where it started,” said Port Isabel Marketing Director Valerie Bates Tuesday. And after several months of work, the project is complete. The City’s jewel will be unveiled at 7 p.m. this Friday, Oct. 27 in a ribbon cutting ceremony sponsored in part by the Port Isabel Chamber of Commerce. “We’re going to have a reception and a sort of unveiling. It’s not really an unveiling because we don’t have anything that big to cover it up,” Bates said. The public is invited to attend and enjoy the mural, as well as some light refreshments.